In the contest for places on the Labour’s national policy forum, there was a slight shift to the left, a net gain of one place. The Left did especially well in Yorkshire, gaining two places, plus one each in London, the East of England and the South West, plus an additional councillor. However, three places were lost in Scotland and one each in the North and North-West. The detailed results are shown below. Sitting candidates are indicated by an asterisk (*); “E” indicates that the candidate was elected. The Right loses one seat to an independent. But for the women’s quota, the seat would have gone to Left candidate, Adam Mohammed, who also very narrowly lost the selection for Nottinghamshire’s Police commissioner candidate. The Right lose both their places in this region, one to an independent, Alex Mayer, popular agent/organiser, and a second one for the Left. James Valentine was a member of the Education policy commission. Daniel Zeichner also strengthens his position – althouigh an independent, he has been critical of the establishment position on the NPF, notably on housing. He is also a Unison political officer. The Left in the shape of Islington councillor, Alice Perry, gain the seat vacated by right-winger, Joanne Milligan, who went off to contest but fail to win an NEC place for Progress. Fiona Twycross, undoubtedly assisted by the email that was circulated on her behalf by right-wing regional director, Hilary Perrin, hangs on to her place – her share of the vote increased but this was partly because she was elected last time as an independent, having previously been Deputy Director of the London Region. On that occasion she sent an illicit text message to all members. Alon Or-bach, though he campaigned as an independent is seen by many as on the centre-left, and Nicky Gavron, though described as an independent, was in the electorally fortunate position of being supported both by Progress and by London Labour Left. Although voting shifted very little in this region, Veronica Killen narrowly lost the seat for the Left that she narrowly won last time. She was outspoken last weekend at the NPF in Birmingham, and will be missed. The Right had done very well at nominations stage, and this is a poor result for the Left, losing the place previously won by Kath Fry who sadly died during her term of office, perhaps party because the Left slate lacked any candidate from Greater Manchester. However, the Left vote did slump from 47% to 36% in this region. However, Elaine Jones, in particular, did well to achieve 11% at her first attempt. This is also a very disappointing result for the Left in a particularly low poll, though again it reflects a poor showing at nomination stage. Overall the Left vote fell from 57% to 47%, resulting in the loss of three places to “Scotland First”. Only Maria Fyfe, benefitting from greater name recognition, hung on to her place and still topped the poll, albeit with a reduced share of the vote. The Left came slightly closer to winning a seat in this region, reducing the winning margin of the lowest elected right-winger from 2.2% to 1.5%. All four sitting candidates were returned although Simon Burgess was on this occasion not backed by Progress – thought to be his choice rather than theirs. Former centre-left Bristol MP, Doug Naysmith, gains one seat for the Left, deposing Keir Dillon, member of the Britain in the World policy commission thanks to the women’s quota which ensured the re-election of Clare Moody. This is the best result this year for the Left — two gains in a tightly fought contest, displacing sitting Progress candidate Jamie Hanley. Well done to George McManus for keeping the flame flying and to the Winning Labour team, including Richard Burgon who was not far behind. Former MP Ann Cryer topped the poll. Another clean sweep by the Left in what has become the Left’s best ‘region’ in UK Labour. All-Wales voting clearly benefits the Left since it does not do as well in the regional board elections which are conducted on the basis of four quartiles. Not much changes in the West Midlands. This is the weakest region for the Left, not least because of the suspension of labour parties in Birmingham. 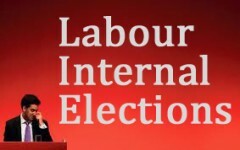 There were elections for youth representatives in only three regions, and for the first time, only members of Young Labour were entitled to vote. In London and the North West, Left candidates Sally Hussain and Chris Hughes retained the seats previously held by the Left, the latter by only six votes, one fewer than the margin by which Left candidate Alex Hay failed to win a seat in the North that had previously been held by the Right. Positions in all other regions were uncontested. Alex Hay lost his NPF Youth Rep election by just 5 votes, not 7 as the article suggests. Does anyone have any info about what’s going on in the Mids in terms of addressing the problems that we have? Any reason turnout is down so much from 2010? Membership slump? From my count 2012 total votes = less than 180k (presumably out of ~250k). Have Ed’s new recruits jumped ship? No Joe. It’s simply that last time the turnout was very much higher than usual for the NEC elections because a leadership election (and in London the mayoral selection) was conducted simultaneously. It was actually the first time the NPF election was conducted by one member one vote. The previous election was conducted at conference with voting by conference delegates who were briefed by party officials to vote for the most right wing candidates. They were all elected. I think turnout is broadly similar to the previous election. A factual historical correction Jon, the final set of NPF ballots held at Conference before OMOV came in were not all won by the right. I lost in the vote for London NPF reps to Alon Or-Bach. Thank you Luke for that correction. Alon, of course, has always stood as an independent, though the Right’s slatemakers, like many others, may regard him as being on the Left. I should have said that every one of the Centre-Left slate lost as a result. Looking at this from a left/right perspective is to oversimplify somewhat. It’s not always possible to tell which is the left slate and which is the right slate based on the booklet members receive. I wouldn’t have known in Scotland if I didn’t know about the frankly fairly obscure Labour First. I also think much of this is down to the activity of reps rather than their politics. My CLP only nominated Maria Fyfe for the NPF, because she was the only person who asked to be nominated in time. And one candidate certainly didn’t help his cause by putting no contact details in the booklet – exactly how is he supposed to represent us if he’s impossible to contact?